Coptic Christian author, physician and independent New Testament scholar Daniel Fanous will be the guest on the live, listener call-in program Ancient Faith Today with Kevin Allen on Sunday night, July 28, 2013. Fanous is the author of the book “Taught By God: Making Sense of the Difficult Sayings of Jesus”. Ancient Faith Today with Kevin Allen covers topics from popular culture, to politics, to theological questions of importance today. 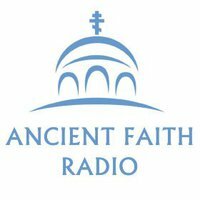 Ancient Faith Today streams live on the Internet on www.ancientfaith.com at 5:00 pm Pacific, 7:00 pm Central, and 8:00 pm. To listen, go to our homepage and, go to our homepage and click on the Talk Station pop-up player. To call in a question call 1-855-AFRADIO, 1-855-237-2346.